Growth. That’s what business is all about. Whether it’s your bottom line, your conversion rate, amount of sales, or Twitter followers – when it comes to growth hacking business, the numbers need to be going up (and up and up). Time is of the element, of course. Growth is all well and good, but only increasing your margins by a hundred quid year-on-year isn’t even going to keep pace with inflation. Two extra sales this week compared to last signifies little – as that will easily drop again next week. From the aspect of marketing, your social media presence needs to be constantly on a rapid increase, simply because every minute that ticks by – every second, in fact – thousands upon thousands more people are signing up to Twitter, Facebook, Instagram and all the rest, constantly diluting your business’s existence within them once more. It almost seems like a cliché in this fast-paced modern world to say, “Growth must be achieved quickly, or not at all.” Well, in the early days of a business’s lifetime, cliché or not, this is true. “Growth — fast growth — is what entrepreneurs crave, investors need, and markets want. Rapid growth is the sign of a great idea in a hot market. “The founders of Wantful (inactive), confessed that they did not accomplish ‘highly accelerated growth required to secure later-stage venture capital.’ They needed funding, but when the company didn’t grow fast enough, they weren’t eligible to secure more funding. That was the beginning of the end. Patel, of course, is not the first entrepreneur or commenter to have made this observation on growth hacking. Indeed, the desire and need for fast growth has become so well documented that the various solutions that are ubiquitously proffered from all corners of the web now have an umbrella term/buzzword that they fall beneath – growth hacking, first coined by Sean Ellis in 2010. OK, so the concept of ‘growth hacking’ – i.e. using creativity, social metrics and analytical thinking to accelerate sales, exposure and business growth – has been around for a few years now. As marketers, we are all aware of the term, and most of us will have been in the game long enough to work out which techniques work for us, and which ones don’t. I’m sure, for instance, that by now we all know the importance of engaging our social media audiences on a pretty much constant basis. Once upon a time that was considered to be ‘growth hacking’ – but now it’s just part and parcel of the regular fun and games at the office. No, such things have been absorbed into the quotidian editorial calendar. Everyone’s doing them, and so by just sticking to these ‘old hat’ methods alone, you will not be gaining a competitive advantage – which is exactly what you need to ensure meaningful acceleration, and find yourself in the exceptional 10% of startups that actually succeed. So, here we have 5 advanced growth hacks most definitely worth considering to keep yourself in the game. Hacking, of any sort, implies that you are not necessarily concerned about playing by the ‘rules’. Computer hackers, of course, take this to the extreme and conduct in illegal activity to get what they need. But, that’s a rather risky venture for the legitimate businessperson, and not something I’m going to recommend or even condone here. In fact, I’m not going to even suggest that you start telling fibs, as this can also land you in hot water. However, there are ways that you can give a certain impression to your customers that you are indeed larger than what you are in fact larger than you really are, as a means to attract new users of your product or service. For instance, you could purchase relatively cheaply several phone numbers and display them on your website – one for sales, one for enquiries, one for accounts etc. Now, all the numbers simply redirect to the same person in the same office, but visitors to your website don’t need to know that. In fact, you could even purchase a set of international numbers, to make it appear that you have offices all over the world. There are other ways that you can create a similar effect. Take transportation service Lyft, for example. Using growth hacking to accelerate in the early phases, they wanted to make sure that every single passenger that tried to use the service wasn’t let down. However, they also wanted to make sure that their drivers had an income to keep them happy so they’d always be available until the company took off. And so, Lyft hired a large number of drivers and paid them an hourly rate just to sit around waiting for passengers. Customers were astounded by the level of service, and so they came back again and again, and of course spread the word about how reliable Lyft was. If you want to grow big and grow fast on social, then you’ve got to have a means of making your content go viral. Now, this is nigh-on impossible if you’ve only got 100 or even 1,000 followers. And so you need to start rubbing shoulders with some of the big players who are already excelling on Twitter and hack into their audience. So, locate these key influencers in your industry – and you can use tools like Traackr or followerwonk – and establish a social media growth hacking connection. As you relationship grows, they will be more inclined to share your content with their much larger audience, and all of a sudden you’ve got thousands of new tweeters flocking to your accounts and from there your website. All you’ve got to do is make sure that you’re producing some sterling content that’s shareable. Yes, this is something that too many companies fail to get right. Sometimes, no matter how much marketing and promotion you invest in, you still don’t achieve your dreams. At such times it’s really worth considering investing back in the business idea itself, rather than to waste more time and money on further promotions. Indeed, the likelihood is that there’s something fundamentally at fault with what you’re peddling, which, in your love and enthusiasm for your own creation you have overlooked. But, once you take another look, you reveal the flaw, get it fixed, and then you can get back in the driving seat. Some people call this the ‘Aha! moment’. For example, I’m sure you’ve all watched David Fincher’s The Social Network about the Mark Zuckerberg and the rise and rise of Facebook. The ‘Aha! Moment’ for Zuckerberg in the film was when he realised that including a ‘relationship status’ on users’ profiles was the perfect thing to drive interest in the site amongst college students – all of a sudden a lot of teenagers began to take notice. There are two age-old marketing ‘growth hacking techniques’ that can’t be beat – word-of-mouth referral, and free stuff. So, combine the two into an ultimate growth hack to defeat all growth hacking methods known to man. Dropbox did this to great effect, increasing signups by 60% – and they did it very simply. Everyone who signs up to Dropbox has the opportunity to refer a friend. If the referral is successful, then both the referrer and referee are rewarded with extra free storage space. 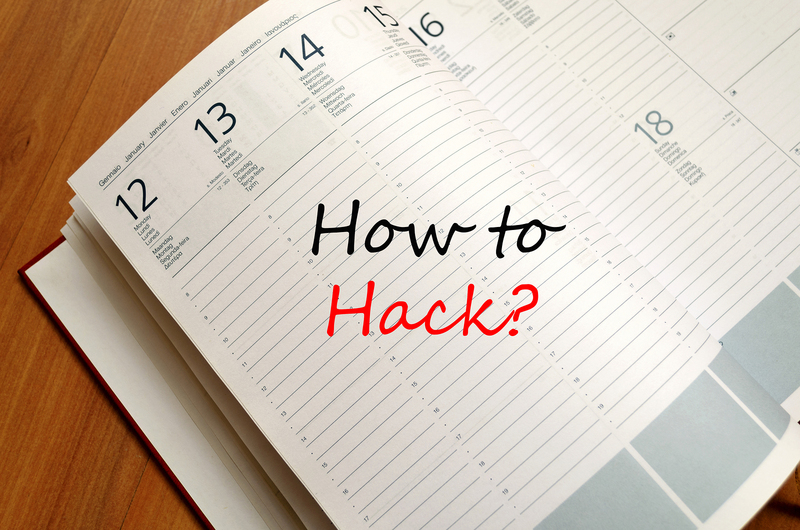 Simple – so how can you create a similar hack with your brand? Random acts of kindness go down a storm with customers and do wonders to boost your online reputation and profile. What is more, they encourage users to keep using your service. Emails that offer 50% off, FREE SHIPPING or what have you are all well and good – but, as consumers, we’re a bit sick of them, because they’re essentially still ask us to buy stuff. Dropbox, the kings of growth hacking, are known to randomly give away free extra storage space for customers, and various other subscriber platforms sometimes offer no-strings-attached extensions on free trials. These emails come as a breath of fresh air for consumers who are fed up of all the junk that ends up in their inbox. And it will almost certainly increase the opening rate of your future emails – just think what more free stuff might be in this one!! So there are my top tips for turbo-charging your business growth. Let me know if you can add to this list in the comments and it would be great to hear of some personal experience with ‘growth hacking’.